What would you do with the gift of more time? If you’ve never thought about it or wished for more time, you’re probably not human. Would you play more board games with your family? Would you take up golfing or learn to play the ukulele like Warren Buffett? Would you set up a smoothie shack on the beach or find other ways to make more money? About ten years ago, Matt Hollie, creator of SecretWealthProject.com, learned how to add 40 hours to his work week–without clocking extra hours OR sacrificing his downtime. As a kid, I was broke. My parents were unemployed. We lived on a council estate (the British equivalent of US project housing). We had nothing in the way of material things…I don’t tell you this for sympathy. I’m proud of my upbringing. And my mum and dad brought me up with buckets of love. But after watching the kids he grew up with follow a slow path to seeming self-destruction, Matt determined to be different. He worked his tail off as an internet marketer and became a self-made millionaire by age thirty. About six years into his career as a full-time internet marketer, an associate introduced Matt to the secret of creating more time: outsourcing. He learned he could outsource much of the work he was doing and free up his time for other things. By hiring an affordable full-time virtual assistant, Matt was able to outsource 40 hours worth of work, every week (at about $2.50/hr). Outsourcing doubled his time, manpower and productivity. His business continued to thrive. Soon he was hiring and maintaining 8 virtual assistants. They shouldered the workload of his business, including building websites from a-z, writing content, driving traffic, creating information products like ebooks, writing sales copy and more. First and foremost, the Philippines is the BEST place to hire VAs. In the past, Matt has hired virtual assistants from the Philippines, India, Pakistan and Europe. He’s had to fire bad eggs and he’s dealt with language barriers. He’s worked with the good, the bad and the ugly, and he maintains that Filipino virtual workers are the best. Matt’s greatest resource in hiring his Filipino virtual workers over the years has been OnlineJobs.ph. He describes it as a “great value for your money” and the best place he’s used to recruit and hire Filipino workers. Can you imagine what you could do with 40 extra hours a week? 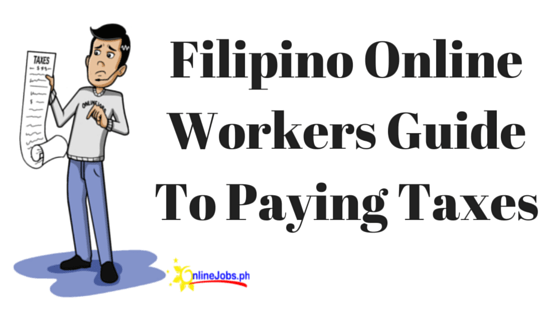 Find, recruit and hire outstanding Filipino workers on OnlineJobs.ph, grow your business, and learn to enjoy your newly-found freedom. Get started like Matt did! If you liked this post, you’ll love reading the success stories of James, Dennis, and Catherine.